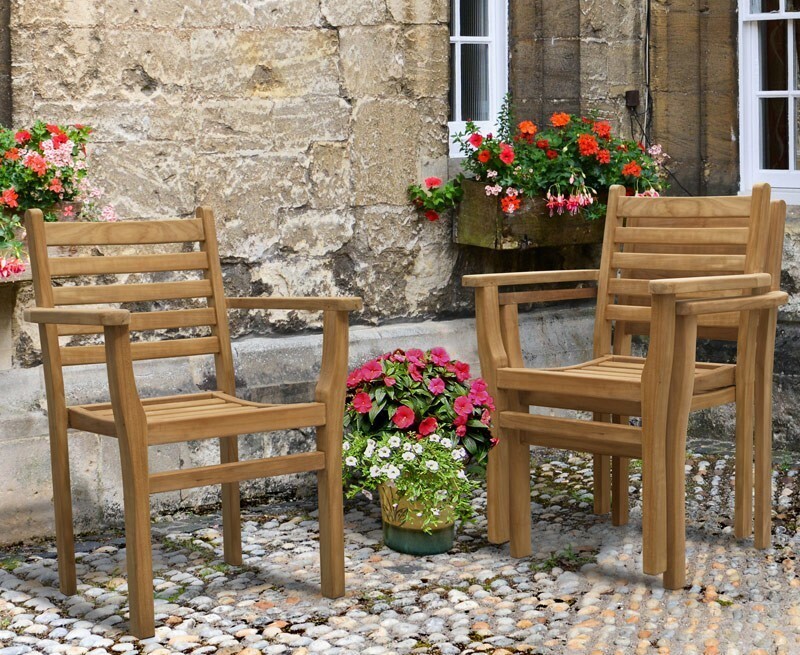 Combining both practicality and style, this extendable outdoor dining set will create a striking focal point for your garden or patio that’s sure to impress your guests. 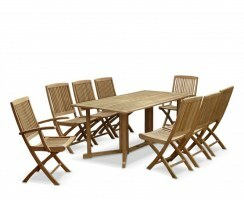 This furniture set is ideal for alfresco breakfasts on mild mornings and sizzling summer barbecues with your friends and family. 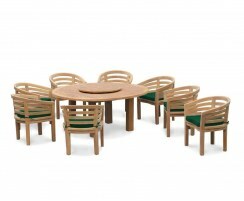 It even features stacking chairs for added space-saving practicality! 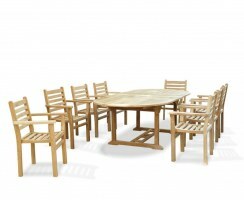 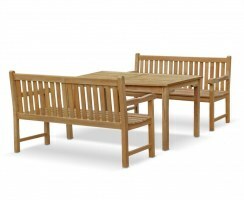 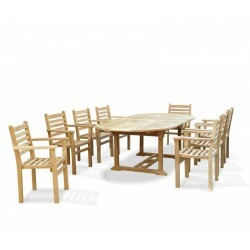 Expertly manufactured from durable, sustainable grade-A teak, this practical eight seater extending patio dining set can remain outdoors all year round in all weather. 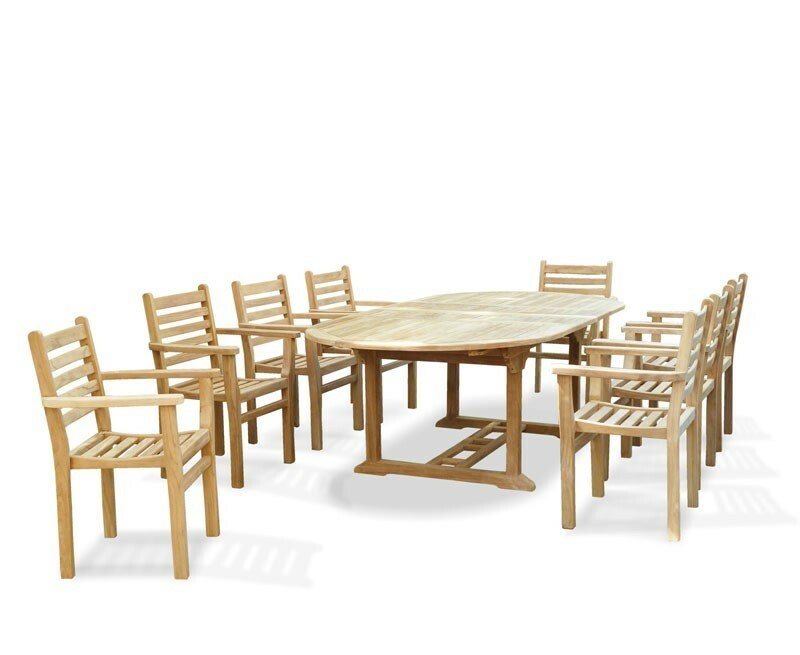 Requiring virtually no maintenance – simply occasional cleaning will suffice – you can get the most from your dining set for decades to come, representing fantastic value for money. 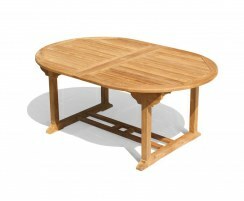 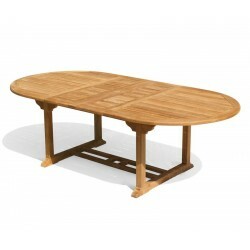 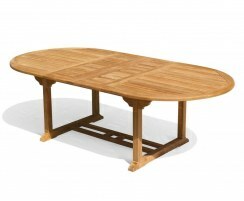 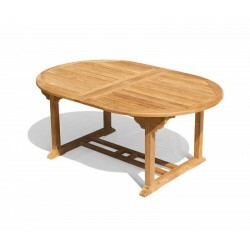 The oval garden table extends by way of a double-leaf butterfly extension which is neatly stowed under the tabletop when not in use, and radial-edged slats ensure quick dry-off of your furniture after a downpour. The table has been pre-drilled for a parasol and is supplied with a flush-fitting teak plug for when a parasol is not required. 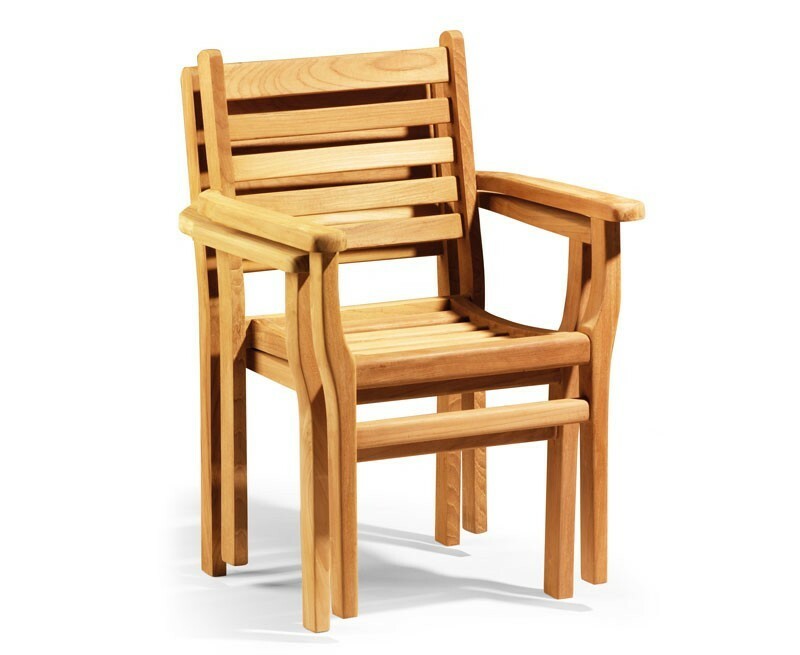 The modern Yale stackable chairs feature armrests and cupped seats for added comfort, and they can be stacked to save space. 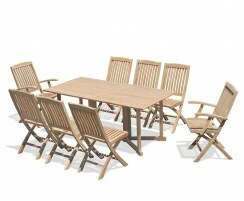 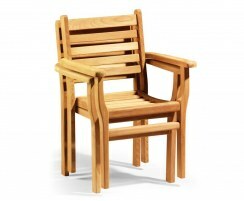 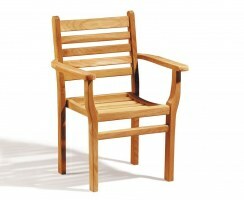 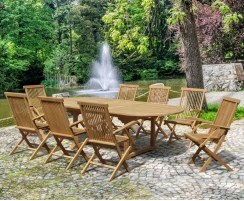 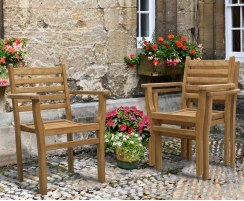 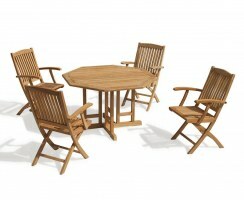 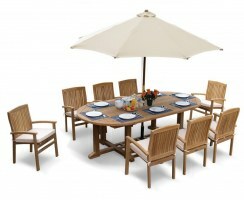 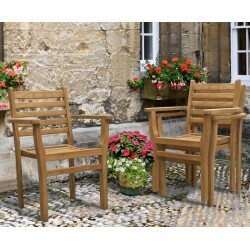 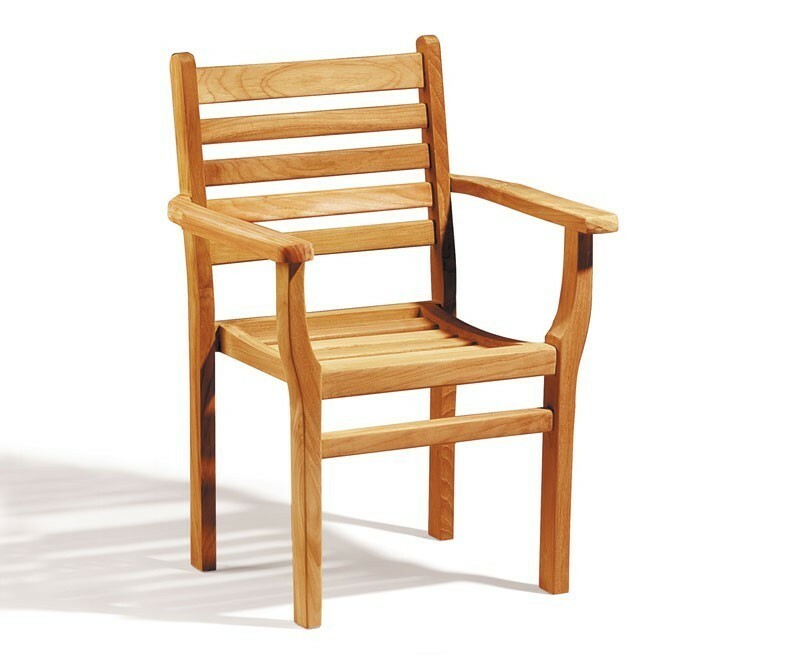 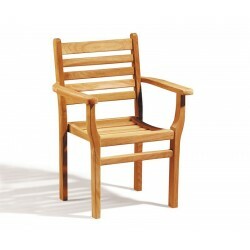 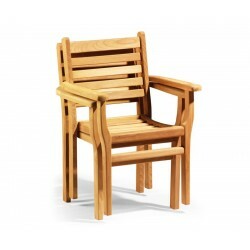 We will deliver this extending garden furniture set to you fully assembled for your immediate enjoyment.